This is great for a case when you have many exhibits. 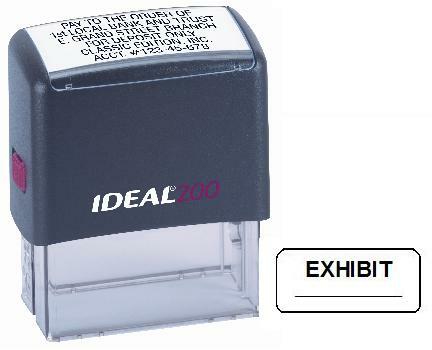 This stamp is self-inking in black ink. Provides thousands of impressions and re-fill ink is available! Very nice!